Huthwaite Court - Where you come home. 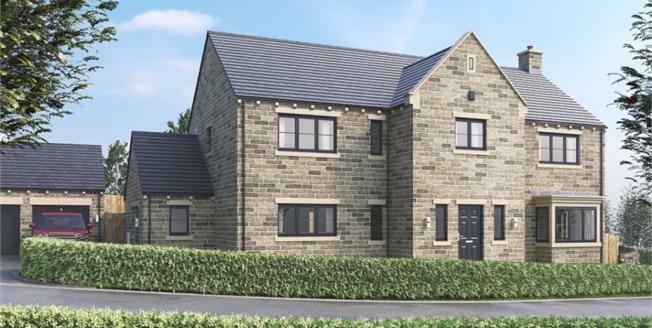 Blundells estate agents are delighted to offer to the market a range of four beautifully crafted five bedroom detached homes created by Baile Homes. Contact us today to register your interest. 4 Huthwaite Court - An impressive detached executive family home which sits on a substantial plot. Architecturally designed to be individual, 4 Huthwaite Court provides you with traditional styling outside and gives way to a crafted contemporary finish inside. This home has been designed to provide you and your family with generous accommodation throughout with attention to detail, quality materials and craftsmanship. Your dream family home starts when you walk in through the grand entrance hall from which you will find the lounge. This room offers a generous amount of space for you to sit back and enjoy, especially on those cosy winter nights around the wood burning stove! The lounge also has a bay window to the front of the property, adding character and bolder natural light. Stemming from the lounge you will find an additional room, and as this home is designed to accommodate modern family life, you can use this space as a study or you can simply use it as a snug / play room for the children - the choice is yours. The ground floor is further complimented by ample storage space in the hallway and under floor heating throughout, leading you to the glorious space of the free flowing kitchen, dining and family room. With integrated appliances, a spacious breakfast bar and Porcelanosa floor tiling - the kitchen, dining and family room is the perfect space for entertaining guests and day to day family life. The added bonus is the two sets of bi fold doors which flood this room with fantastic natural light making it bright and airy. They will opened onto the landscaped rear garden which includes generous paved areas and fencing to provide added security for children or pets. To the first floor your galleried landing again includes further storage, and leads you to your five spacious bedrooms. The master suite provides the luxury of a dressing room and ensuite shower room. Bedroom two also benefits from an ensuite facility and there is a substantial four piece family bathroom to ensure the morning rush hour runs smoothly. Externally, as well as the beautiful landscaping to the front of the property, the drive way will be block paved, providing excellent parking spaces for the family or for your visitors. This leads up to an incredible triple garage with electric doors. Huthwaite Court has been sympathetically designed to blend in to the rural surroundings and this executive home will prove there is more than meets the eye. With a premium Porcelanosa pack included with every property, once you have reserved our branch team will invite you to come along and pick from a range of choices, which includes tiling to the bathrooms, flooring and kitchen units. With only THREE of these truly stunning homes still available, please call Blundells Estate Agent for more information on 0114 345 0576 or visit us at 4 Market Street, Sheffield, S35 2UW. Images are for illustration purpose only. Choices are subject to build.